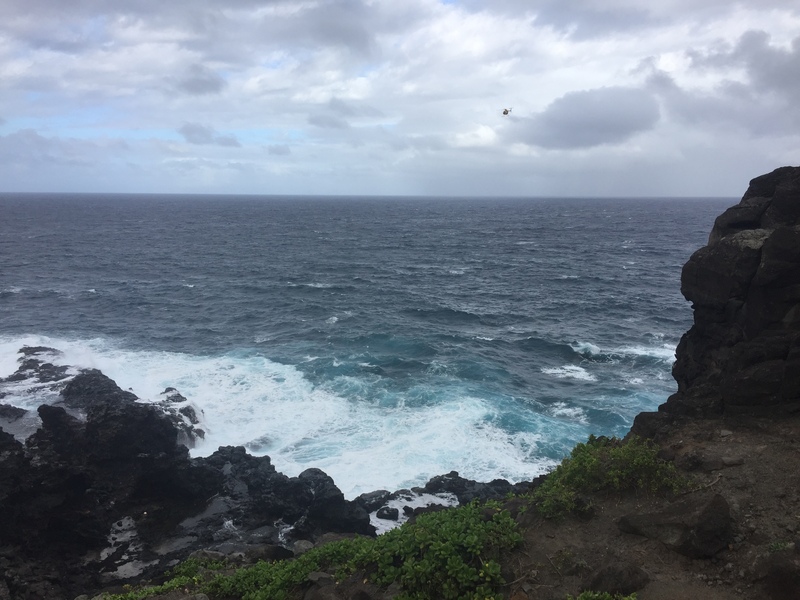 A 46-year-old man from Whitefish, Montana died after he jumped in the ocean to save his 15-year-old daughter who was swept in by a wave at the “Olivine Pools” in Kahakuloa on Tuesday afternoon. The incident was reported at 12:37 p.m. on Tuesday, March 27, 2018. Fire officials say the teen was standing near the water’s edge when a large wave washed her into the ocean. 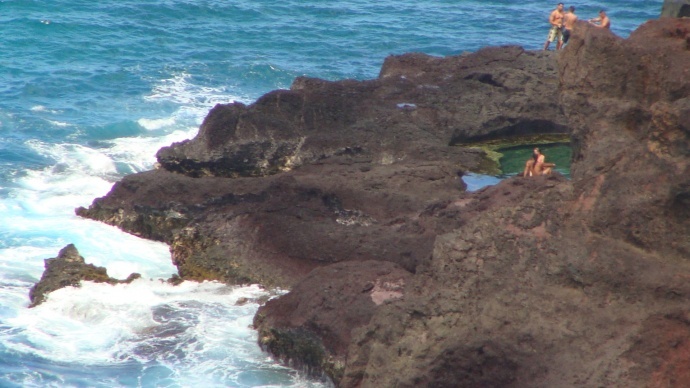 Her father jumped in and was able to get the girl back to the rocky cliff, where bystanders used towels as a makeshift rope to pull the girl onto the rocky ledge. When witnesses looked back for the man, he was seen floating face down and unresponsive, according to department reports. The fire department’s Air-1 helicopter and lifeguards on rescue watercraft arrived on scene at 12:58 p.m. to find the male victim floating face down about 40 feet from the rocky shoreline. 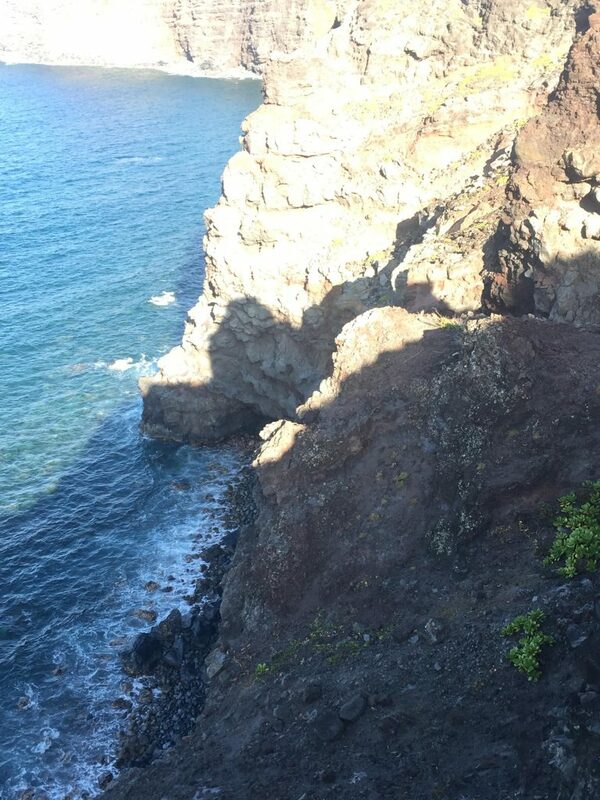 The man was airlifted to the Kahekili Highway where firefighters began CPR. Paramedics arrived a short time later and continued advanced lifesaving measures; however, despite all efforts the man could not be revived and died at the scene. The female teen suffered non-life-threatening injuries and was released to family members at the scene. 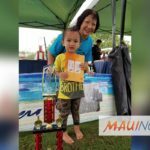 The man’s death marks the 16th water related fatality this year on Maui. Firefighters from Nāpili, a Kahului rescue crew, and a Lahaina rescue boat responded to the incident. Lifeguards from DT Fleming Beach Park also responded.